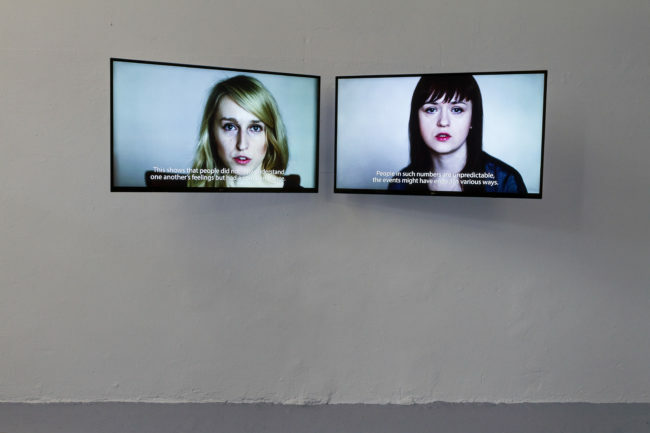 Tanja Muravskaja’s sound- and video installation ‘Three Sisters’ will be presented at Tensta Konsthall in Stockholm. In this work, Muravskaja explores the ways in which the Ukrainian war impacts relations between relatives and families. Muravskaja portrays her relatives living in Ukraine and Russia, illustrating how politics and media create conflicts in families. Tanja Muravskaja herself is participating in a residency at Tensta Konsthall until the end of February. ‘Game of Four’, an exhibition by Alice Kask, Neeme Külm, Jass Kaselaan and Holger Loodus, will open at Joensuu Art Museum Onni. Curated by Tamara Luuk, the exhibition is a collaboration between Tallinn Art Hall and Joensuu Art Museum with Tallinn Art Hall as the main producer. Small number of the works presented at Joensuu were displayed at the exhibition ‘Alice, Neeme and Jass’ in Helsinki Taidehalli, but as a whole, the exhibition is adapted for the Onni museum space and includes new works created specifically for it. 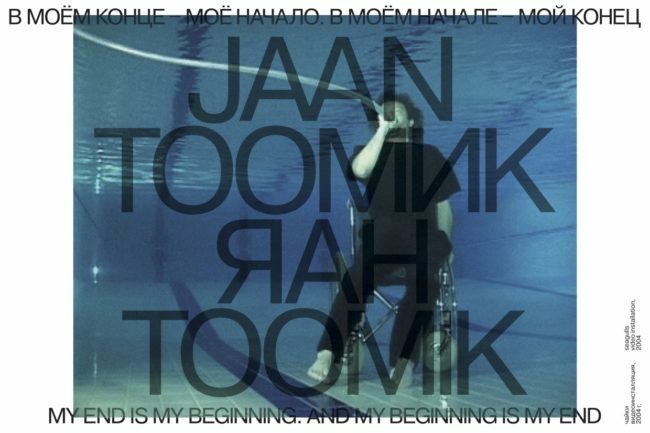 Jaan Toomik will open his solo exhibition ‘My End is My Beginning. And My Beginning is My End’ at the Moscow Museum of Modern Art (MMOMA). Curated by the Moscow-based curator and critic Viktor Misiano, the exhibition shows both Toomik’s earlier works as well as new ones. MMOMA, which operates five exhibition spaces, was opened in 1999 as the first national museum in Russia focusing solely on the 20th and 21st century art. In addition to introducing Russian art, the museum also has an outstanding international program. 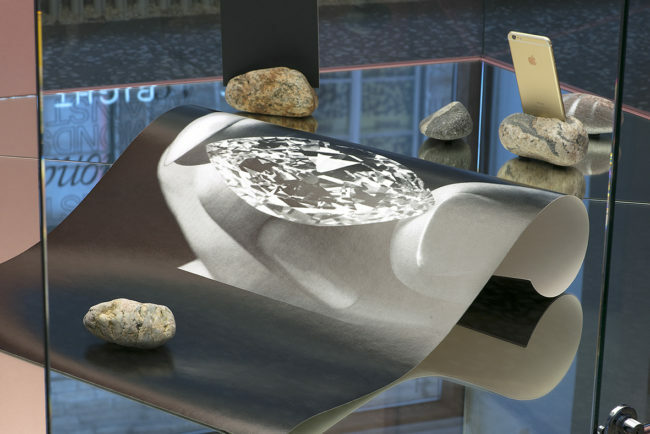 Marge Monko’s exhibition ‘Diamonds Against Stones’ will open at the Museum Folkwang in Essen. The exhibition explores the impact of the visual language of commercials and displays of luxury products on customers. Most of these works were shown a year ago at Monko’s solo exhibition ‘Stones Against Diamonds, Diamonds Against Stones’ at Tallinn City Gallery. In addition to these works, Monko will produce two new works – a banner installation in Essen’s public space and a vinyl sticker in the museum’s lobby. 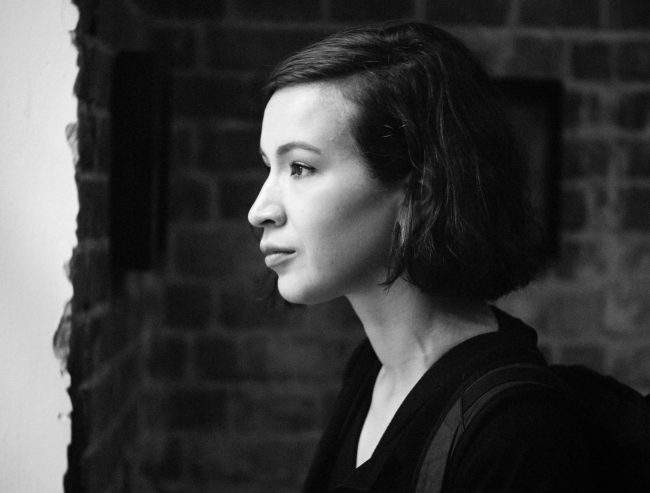 Sigrid Viir will take part in the HIAP residency in Suomenlinna, Helsinki. 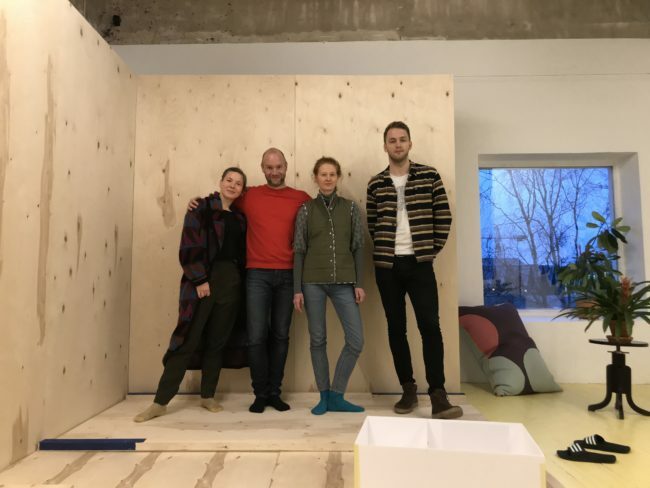 The main focus of her residency is the preparation for a solo exhibition that will open at the Contemporary Art Museum of Estonia (EKKM) in April, 2019. Viir’s residency is the first in a series of collaboration projects started between EKKM and HIAP, which aim to generate a dialogue and an exchange of knowledge, as well as provide a more comprehensive form of cooperation for artists and curators in the form of co-production. At the beginning of the year Anna Škodenko started a 6-month residency at WIELS contemporary art center in Brussels. During her residency, there will be workshops, discussions, talks, and feedback for the artist from professionals who visit the center. The first Estonian artists who took part in the residency programme were Paul Kuimet and Jaanus Samma. The participation of Estonian artists in the WIELS residency programme is organized by the Center for Contemporary Arts Estonia.